Playing Brazilian music on the UBass! – Play UBass! Playing Brazilian music on the UBass! I have a big interest in Brazilian music. Its rhythms and beautiful melodies makes me feel good and I really like both listening to and playing the different styles from Brazil. In the previous post you can read about a CD that will be released in March featuring great Brazilian music. This CD will be a good place to hear great music played on cello and guitar. I had the privilege engineering, editing and mixing this!. Check it out! I have been playing (and singing, in english and occational ‘fake’ portuguese) Brazilian music for quite some time. If you have followed this blog you probably remember that I have blogged about this before. See these previous posts: Black Orpheus and Dindi. When the opportunity to attend a special course in Brazilian Popular Music at the University of Orebro (where I also teach sound engineering) I immediately enrolled! I want to know more about the music and its history. My goal is to get an over all better understanding, and hopefully a better feel, for how to play the music in a traditional way. Then I’ll try to make it, little by little, ‘my own’. Playing Brazilian inspired music is truly something I can’t be without! The University of Örebro has a partnership with the UniRio University in Rio de Janeiro. Thanks to that we are able to meet different guest professors from Rio during this course! They talk about the history, and show/teach us songs from different eras and styles! It’s really great! Towards the end of the course there will be a drummer and bass player teaching styles originated in the Nort East of Brazil. I’m really looking forward to that! Tomorrow it’s time for a new lecture/ensemble playing experience in the Popular Brazilian Music course! I can hardly wait! The course will end in mid March with a concert at the Orebro Jazz Club. We will play song in the different ensembles and with the guest proffesors and musicians. Great fun! 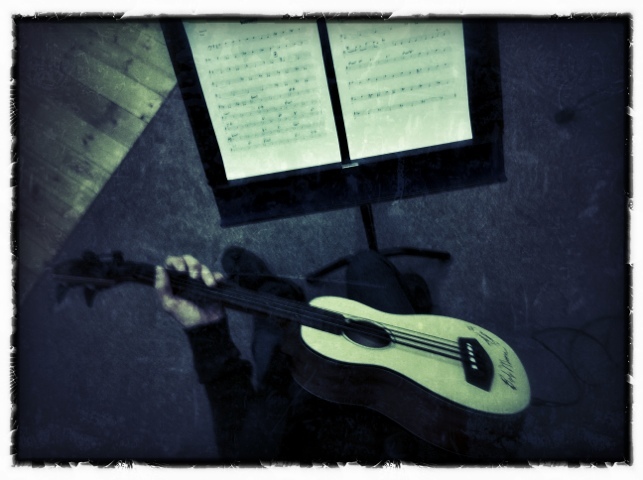 Pingback: ‘Studio UBass’: Recording with Haroldo and Jon « Play UBass!